A true legend of the Pomerol appellation, Chateau La Conseillante is one of the most beautiful benchmarks on the Right Bank in the Bordeaux region. A testimony to a prestigious wine heritage, Chateau La Conseillante's history began more than 300 years ago when the influential Liberian merchant Catherine Conseillan acquired the property and named it after herself. Under the control of the Nicolas family since 1871, the Chateau La Conseillante has passed from century to century with its exceptional wines. Since great wines come from great terroirs, Château La Conseillante was created on exceptional lands. Petrus, l’Evangile and Cheval Blanc are none other than its most illustrious neighbours. Château La Conseillante overlooks a 12-hectare vineyard with exceptional richness. A true mosaic of terroirs, the clay-gravel soils combined with the renowned iron oxide subsoil gives Chateau La Conseillante its special identity. The wines from Chateau La Conseillante represent the quintessence of the Pomerol appellation through elegance and finesse. The nose presents a refined bouquet with violet scents, which is the estate’s unique signature. Almost sensual, the mouthfeel offers a silky softness delicately enhanced with the typical freshness of Pomerol, and this stretches to finish to end with mineral notes. The wine’s purple capsule is a tribute to the estate’s characteristic fragrance of the vintage that has been a hallmark of Chateau La Conseillante since 1871. 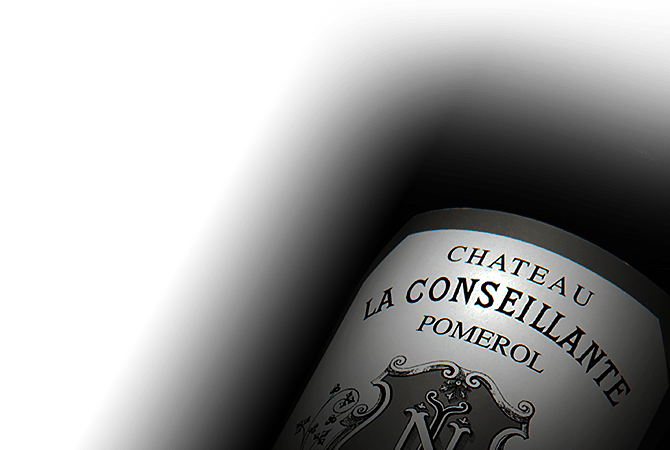 Iconic and timeless, La Conseillante is an estate that embodies the soul of Pomerol.